Dota 2 is a hard game. When you launch it and start playing, it’s easy to become overwhelmed. There is just so much happening. You have over 100 characters (called Heroes) in the game, each with their own set of abilities. You have a community full of players who expect you to know how to do everything right from the very first game, and it’s easy to just give up. We’ve already covered some streamers that will help you get better at Dota 2 9 Active And Knowledgeable Dota 2 Streamers All Players Should Be Watching 9 Active And Knowledgeable Dota 2 Streamers All Players Should Be Watching About a month ago I got hooked on a little game known as Dota 2 , and I’ve been playing it nonstop ever since. I tried League of Legends initially, and for some reason, it... Read More , but I am going to share some of my personal experience in a video that, coupled with those people and the in-game tutorial, will help you get even better. Recently, I’ve been teaching someone close to me how to play the game, and it’s not been easy for either of us, but it’s also been a rewarding experience, and she has become substantially better at playing the game in a very short time. In that process, though, I’ve noticed a few core mistakes that happen over and over. She’s not alone either, as other players often find themselves struggling with the very same problems. The video that follows is going to focus on fixing those mistakes. 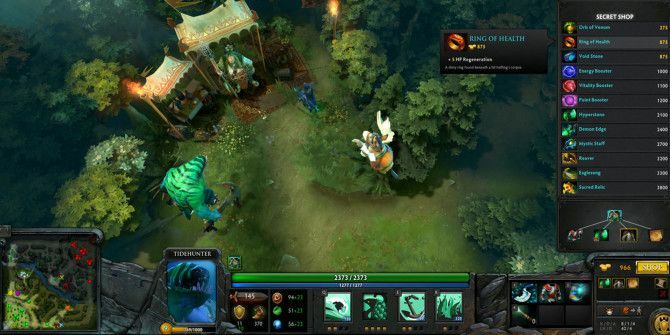 These five tips we are going to cover will make you a better Dota 2 player. Note: This video guide assumes you have played through the in-game tutorial and have a basic understanding of things like moving your Hero, casting spells, and attacking. If you have not played through it, I highly recommend you do so before jumping into an actual game with real players. While I may not be a professional Dota 2 player by any means, I have spent way too many hours playing, reading about, and watching Dota 2 5 Websites For All The Latest Happenings In Dota 2 [MUO Gaming] 5 Websites For All The Latest Happenings In Dota 2 [MUO Gaming] Dota 2 is a huge game right now, and while it may not be as popular as League of Legends, it is hot on its heels with an ever rising player base. As a whole,... Read More . As such, I have gained a lot of knowledge on the game. If you do the tips in the video above, you will get better. What are some tips you would like to offer Dota 2 noobs? Hit the comments section below and let us know! Why is arrow keys a bad way to control it? Presuming they're bound to WASD. All of these are fantastic tips, and ones that I'll definitely try to remember if I start playing properly. I would say that Denying is also a good thing that newer players won't always be aware of. On quick buy tip : You can press right click to the item instead of dragging them. Good point. I have a bad habit of dragging them, but right clicking is definitely faster.